Taste test: These are excellent regular flavor potato chips, with a good crunch. They are thinner than a regular chip, and less greasy than Lays classic. They kind of reminded me of Wachusett regular, but with a bit less salt. 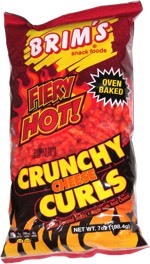 I would hope this local brand to Virginia would expand their distribution, because these chips are outstanding. Smell test: A hearty potato-like smell. Mmmmm! 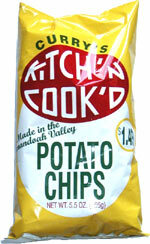 Company: Kitch'n Cook'd Potato Chip Co.